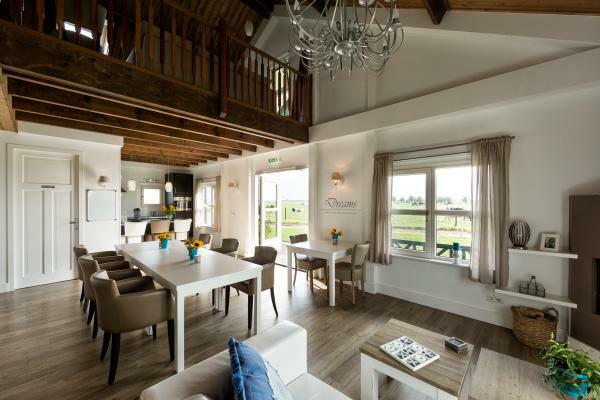 On the ground floor there is a luxury detached holiday home (160m2) with a private veranda overlooking a Dutch polder landscape. There is sleeping accommodation for up to 10 people (4 x 2 person bedroom + 4 x bathroom + 2 x additional bed). In combination with our apartment on the first floor there is even room for 12 to 14 people. Our new built apartment (50m2) has its own entrance (staircase) and is on the 1st floor. There is sleeping accommodation for 4 to 6 people (2 x 2 person bedroom + 2 x bathroom + 1 x sofa bed). 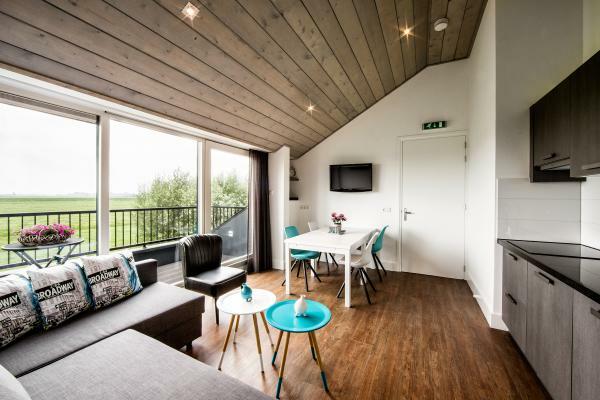 In combination with our holiday home on the ground floor there is even room for 12 to 14 people. Outside is a terrace on the water that you can use.